Antes y después de los actores de Game of Thrones - Info en Taringa! 1. 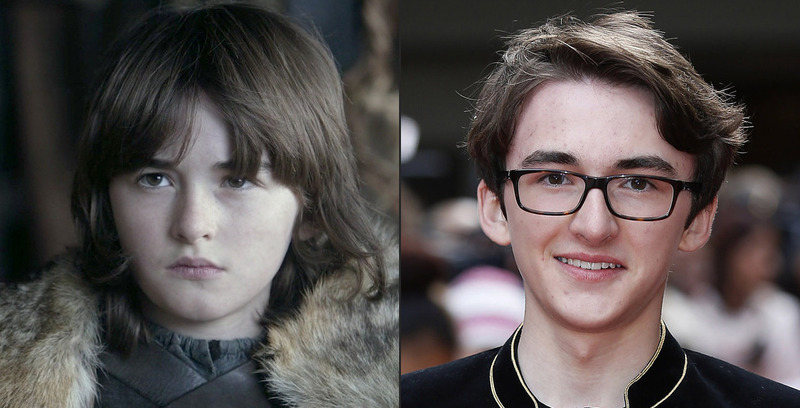 Isaac Hempstead Wright como Bran Stark. 2. Maisie Williams como Arya Stark. 3. Art Parkinson como Rickon Stark. 4. Sophie Turner como Sansa Stark. 5. Alfie Allen como Theon Greyjoy. 6. Jack Gleeson como Joffrey Baratheon. 7. Emilia Clarke como Daenerys Targaryen. 8. Richard Madden como Robb Stark. 9. Kit Harington como Jon Snow.